Home > Customer Reviews > Great service as always! I was in the market for a new vehicle, and was pretty set on what I wanted. I live in Dartmouth and know many sales people, but was not satisfied with the offers they had given me. 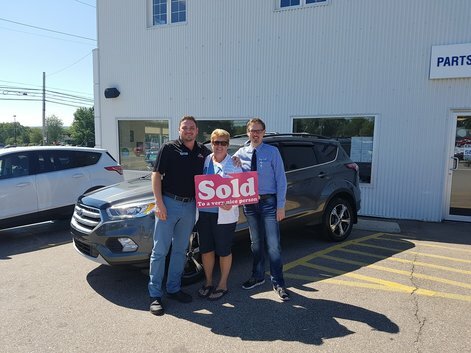 I called up Alain to help me find something that was right for me, and he was able to quickly get me into a car that was a little different than what I wanted, but turned out to be even better! 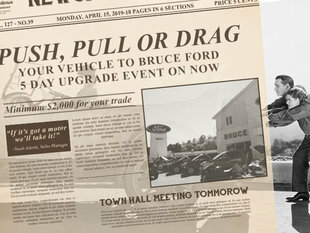 I am also satisfied with the service from not only Alain and Rod, but from Bruce Ford itself. Thank you Alain and Rod for everything, especially your patience and flexibility. I definitely recommend buying a car from these guys, because I know I will be back to get my next vehicle from them, when I'm in the market for one again! Alain at Bruce Ford was excellent to deal with. Made sure our needs and more were met, process was very quick and efficient. Love dealing with everybody at this location.